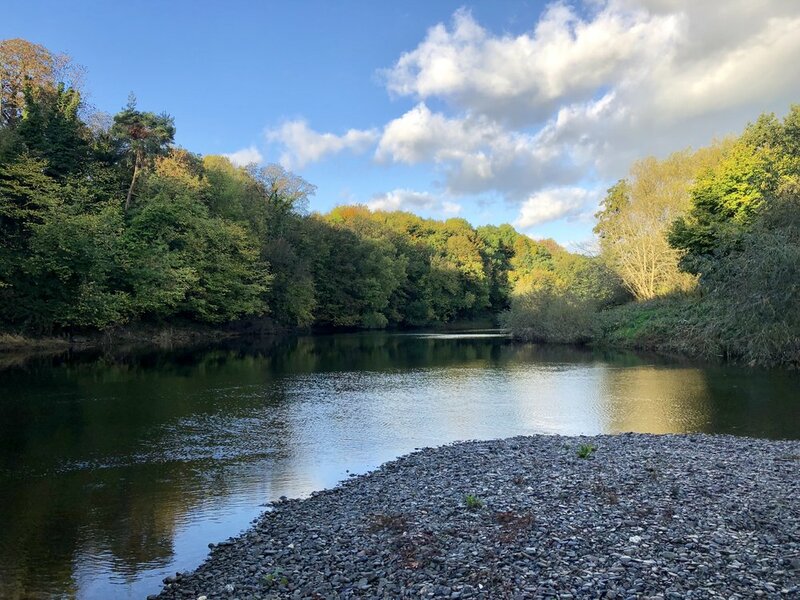 Wyecliff Fishery constitutes two thirds of a mile of left bank fishing directly above Hay-on-Wye. This beat offers some excellent trout fishing throughout its length, particularly on the upper part of the beat. There is also good opportunities for a salmon below the weir and anywhere along the sweeping left hand bend before the river approaches Hay bridge. The coarse fishing is also excellent with specimen barbel and chub present as well as some big pike. Wading is of mixed difficulty and studded soles are essential, especially for the upper, bedrock-dominated section. For the lower sections, the river flows over gravel and is much easier-going. Camping and B and B accommodation can be found at Racquety Farm on the beat itself. Please click here for accommodation bookings. EAW bye-laws must be observed and it is up to anglers to familiarise themselves with these. Beat maps and directions will be Emailed to you when a booking is made for this Beat. Please note that when we say a “rod” is available, we mean a fishing permit for one angler.